A business gift that every business associate would be glad to receive. Top of the line combination card case and mini-wallet with a big 1” deep gusseted pocket for all those credit cards plus a clear I.D. pocket for their driver’s license, a third interior pocket and an exterior pocket. Buttery soft full grain leather with rich pigskin suede lining, turned edge construction and precision stitching. 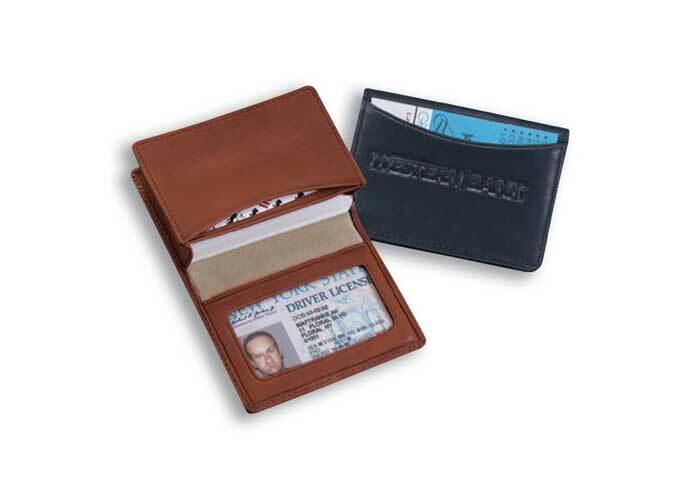 This card case has replaces hundreds of men’s wallets due to is elegance and functionality.